One of the reasons our treatments at Bodylight Therapy are so effective is that we’re not content merely to target the obvious physical problems that the client presents us with. We also address the issues of the whole person through a holistic approach, otherwise known as mind-body-spirit medicine. So what is mind-body-spirit medicine, and where does it come from? Treating the symptom, rather than the whole patient as a person, is a relatively modern healthcare technique. It was brought in by the ancient Greek Hippocrates who, in the 5th century BC, separated the teaching of the healing from where it originally sat, holistically, with the other sciences and arts of the day, including natural philosophy. From then on, doctors began to be trained to only accept that which could be discerned materially — in other words, just that which they could observe through the five primary human senses. That is why physicians today take the Hippocratic Oath, to agree that they will be bound by those principles. But judging by the length of today’s hospital waiting lists, it has achieved a relatively minimal success rate. Our earlier ancestors took a much more holistic view of health, and practiced mind-body-spirit medicine. To them, it would have been unthinkable not to involve the spirits (otherwise known as gods or angels) in the healing, and to call on them for guidance. The spirits cannot be perceived by the five outer senses of the Hippocratic Oath, but appear as the result of an inward experience of meditation or trance. Archaeologists and anthropologists are increasingly of the view that the ancients used what we now call ‘shamanic practices’ to contact the spirits. In other words, they achieved a direct interface with these extra-dimensional entities by going into trance and gaining guidance and information from them that way. The furthest back we can go in the historical record is to the ancient Egyptian Imhotep. 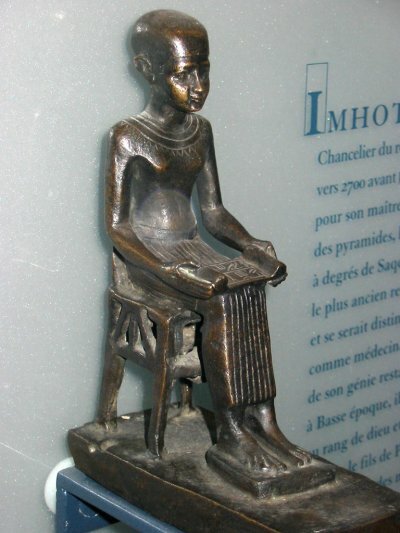 According to Sir William Osler, Imhotep was the real Father of Medicine (2980 BC) – about 4,000 years ago. Dated to around the same time, we have the Indian Atharva-veda texts which were written in Sanskrit on palm leaves. It is from the Atharva-veda that Ayurvedic medicine gets its name. Within the Ayurvedic system, the spirits or gods are contacted and included in the healing. The writers of the Vedic texts said that everything they wrote was given to them by spirits. Today, we might call this ‘channeling’. The ancient Egyptians during the time of Imhotep would introduce neophyte healers to the spirits within inductions or initiations known as the Mystery teachings. The Mystery schools or groves were prevalent in many of the countries surrounding the Mediterranean from about 4,000 years ago. Pythagorus and Plato were thought to be initiates of these schools. But after Alexander the Great conquered Egypt in 332 BC, a different view of science began to predominate and, as the Greeks imposed much of their own culture on that of the Egyptians, eventually, the name of Imhotep was replaced by their own much more materially-minded Hippocrates. 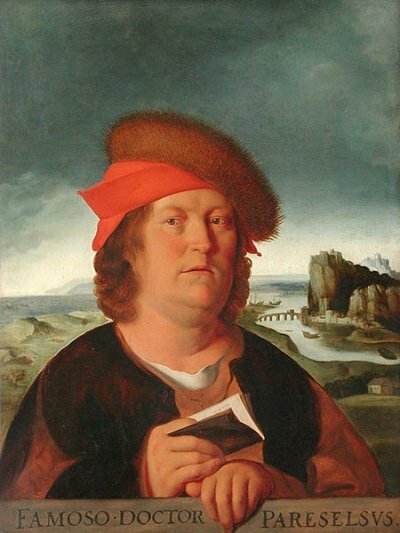 It took a further 1,800 years before a medieval alchemist and physician, Theophrastus Paracelsus, rediscovered the more holistic practices of Imhotep, in his travels through Asia and the Middle East, and brought them back to Europe. However, he was widely ridiculed by his peers and the Hippocratic regime continued unabated. So it wasn’t until the 1960s, when an influx of Eastern teachings began to enter the continent through young people visiting India and the Far East, that mind-body-spirit medicine started to become widely known about again, and holistic health practices began to spring up in the West. At first, it was just mainly massage-related therapy centres that started to appear, such as those devoted to Aromatherapy, Ayurvedic Massage and Thai Massage. Then centres for Acupuncture, Acupressure and Chinese Herbal Medicine began to appear, especially in larger cities which had their own Chinese and Japanese populations that wanted healthcare techniques which they were familiar with. Eventually, other therapies which had been developed ‘before their time’ in the early 1900s, and considered then to be ‘crank’, slowly gained recognition from this new and more aware audience. For instance, one of those healing modalities is Craniosacral Therapy, which is based upon the movement of the craniosacral fluid rhythms within the body. This rhythm is determined by factors which are physical, mental, emotional and spiritual. Lynne has had some very successful results with Craniosacral Therapy, especially when old, stuck emotions are hanging around and causing an imbalance in the body. Any kind of healing therapy, even massage, is improved by both the practitioner and the patient tuning into the patient’s guiding spirits or angels. And this is where the mind bit of mind-body-spirit comes in. By concentrating the mind on positive forces and elements which support the healing, much better and faster results can be achieved. In summary, we can say that to be treated holistically means acknowledging that you are a person who has a condition associated with your mind body spirit continuum, rather than a condition to be treated that just happens to have a person connected to it. In mind body spirit therapy we say that we treat the person rather than the condition. At Bodylight Therapy, before we begin any session we will listen to you, ask you how you are feeling physically, emotionally and spiritually, and then spend time tuning in to you so we can offer you the most appropriate therapy and mode of healing energy for your needs.